Friends of the Mississippi River | Page 11 | Engaging citizens to protect, restore and enhance the Mississippi River and its watershed in the Twin Cities region. Donors make a difference. What $25-$250 can do. Whether you give a little or a lot, every dollar makes a difference. Learn more, or take action now. As an FMR member, you'll play an integral role in carrying out our mission to protect, restore and enhance the Mississippi River. FMR members are more than donors. Collectively, you spearhead advocacy for clean water policy, conserve critical habitat and engage the next generation of river stewards. All in support of our shared dream: To protect and restore the Mighty Mississippi and make sure it's healthy and accessible to all. Two Minnesota rivers — including our local Mississippi River gorge between Minneapolis and St. Paul — made America's River's 'Most Endangered' list. 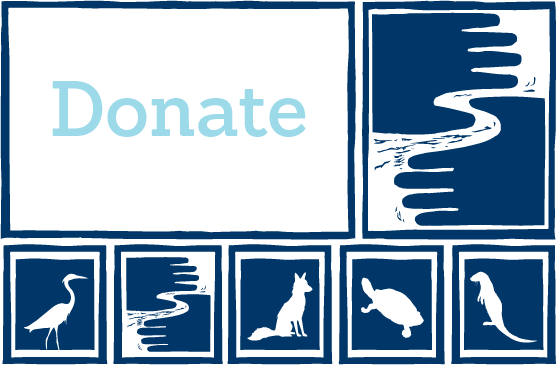 Now through Earth Day, $5 from every online purchase will be donated to FMR in support of our conservation and restoration efforts!